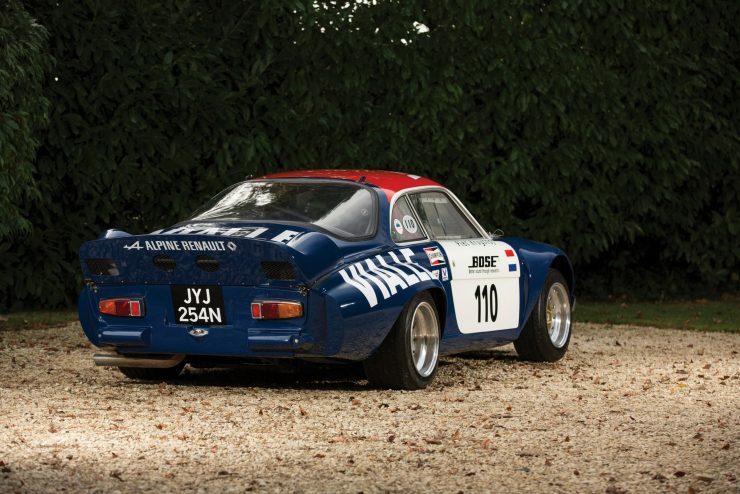 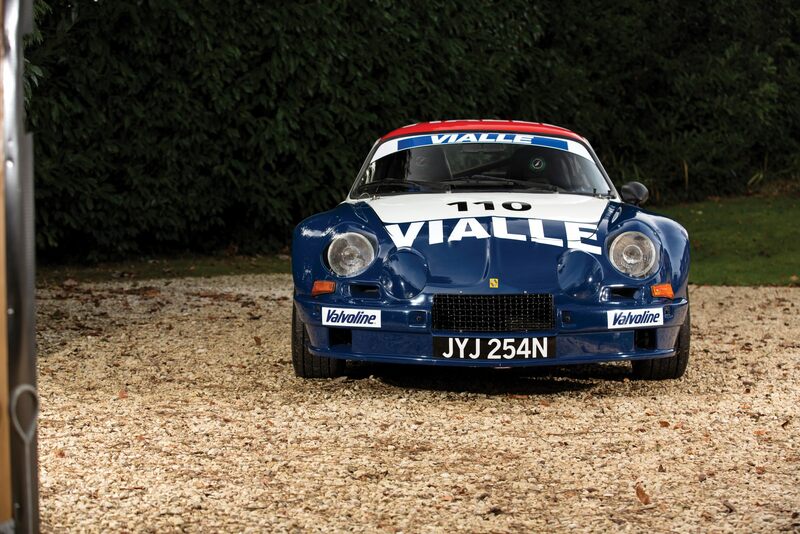 1974 Alpine-Renault A110 B "Team Vialle"
The Alpine-Renault A110 was the most successful rally car in the world in 1973, it was the year of the inaugural World Rally Championship, and the lightweight French car was an unstoppable force. 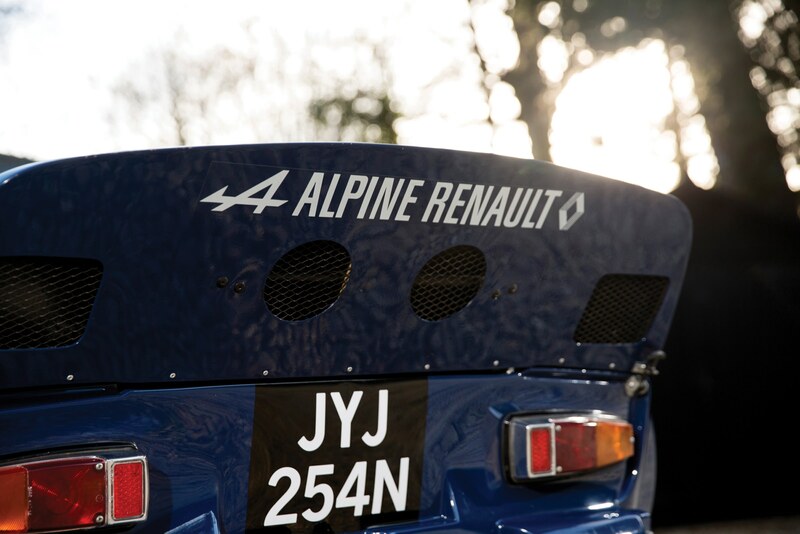 1973 would see the works Alpine-Renault rally team traveling to Monte Carlo (1st, 2nd, 3rd), Sweden (3rd), Portugal (1st and 2nd), East Africa, Morocco (1st), Greece (1st and 3rd), Poland, Finland, Austria (2nd), Italy (1st and 3rd), the USA, and France (1st, 2nd, 3rd). It was an extraordinary series of successes, and it’s thought that the engineers at Lancia took note as they were developing the Lancia Stratos – a machine designed from the ground-up to be the quickest rally car in the world. 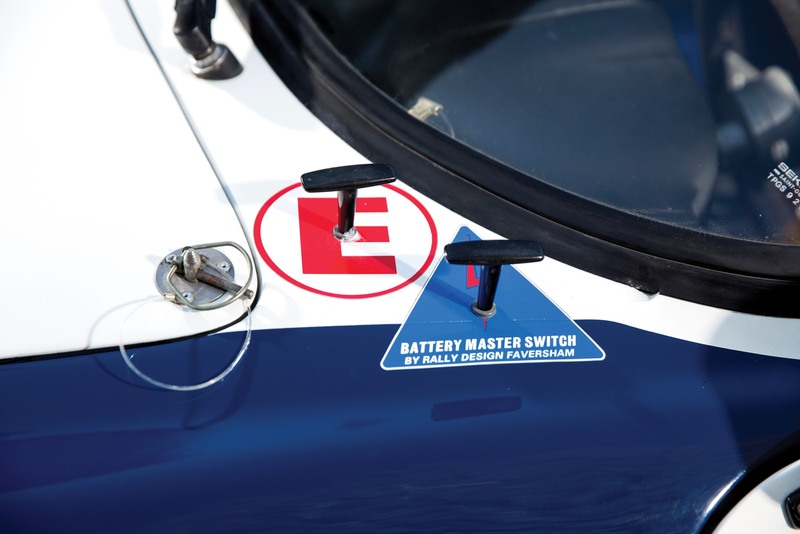 Alpine started out as a small manufacturer of racing and sports cars that were largely reliant on Renault engines and underpinnings. The company was founded by Frenchman Jean Rédélé, he had started out with a diploma from the prestigious business school Ecole des Hautes Etudes Commerciales de Paris, and he quickly became the youngest Renault dealer in France. Although he had no formal engineering training he proved remarkably apt at building race cars – starting out with the humble Renault 4CV. 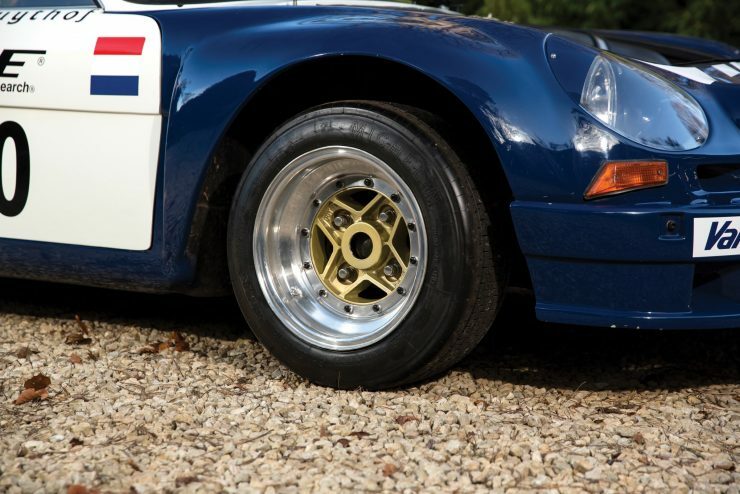 He took class wins in the Mille Miglia and Coupe des Alpes in the 1950s and posted some positive results at at Le Mans and Sebring as well. 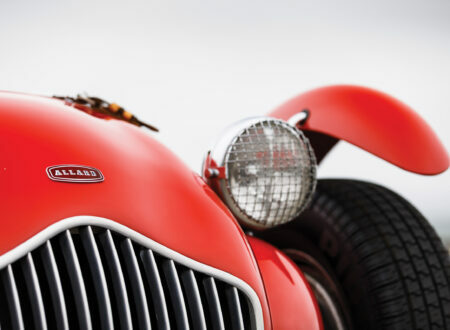 In 1955 he decided to build his own car, still using a Renault 4CV engine, chassis, and running gear, but now with a far lighter (and dare I say better looking) fiberglass body. Three years later in 1958 the Alpine A108 was released, now with styling by Giovanni Michelotti that would define the look of the cars going forward. 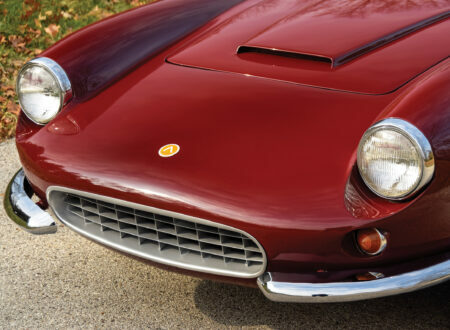 The A108, and the Alpines that followed it, had a lightweight fiberglass body with a central tubular backbone chassis that offered excellent rigidity. 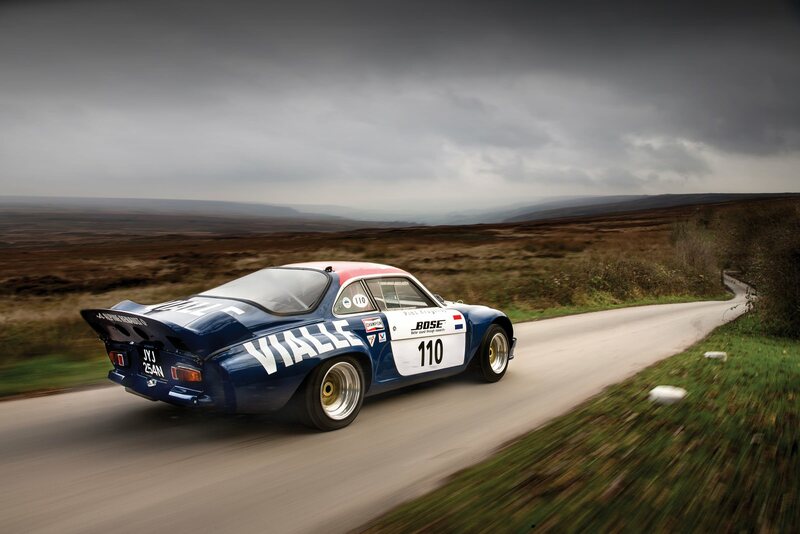 In 1962 the company made a series of changes and upgrades to the A108 resulting in the A110 – the car that would become the most famous Alpine of all. 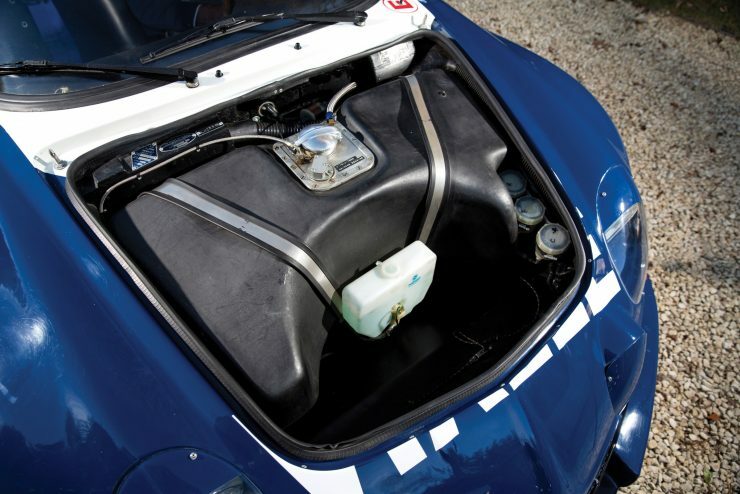 The real secret to the success of the A110 was its weight, depending on which engine was fitted the car tipped the scales at approximately 540 kilograms (1,190 lbs). 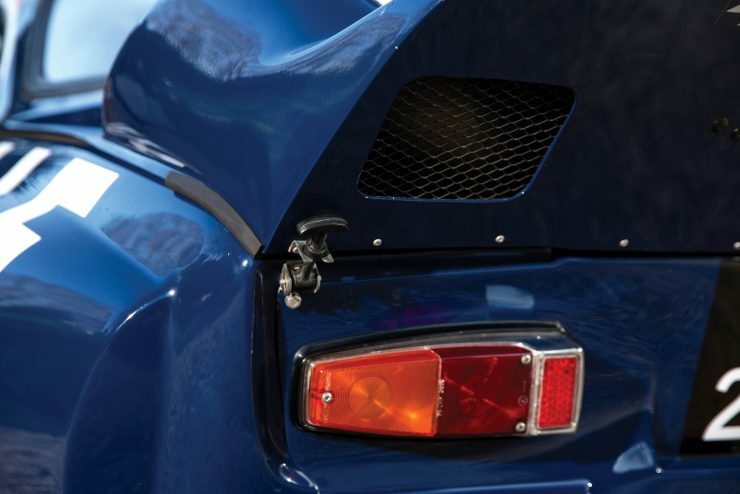 Some compare the Alpine A110 to the Porsche 911 due to its engine also being located in the back, resulting in a heightened potential for snap oversteer, particularly when novice drivers were behind the wheel. 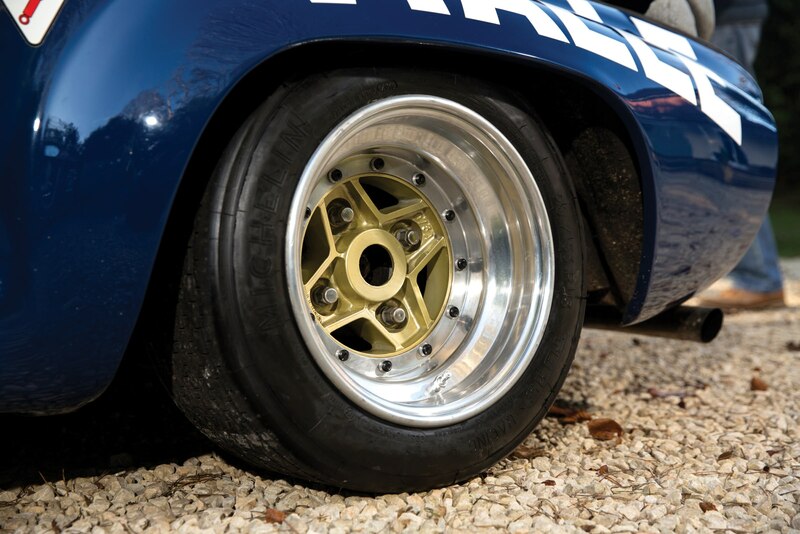 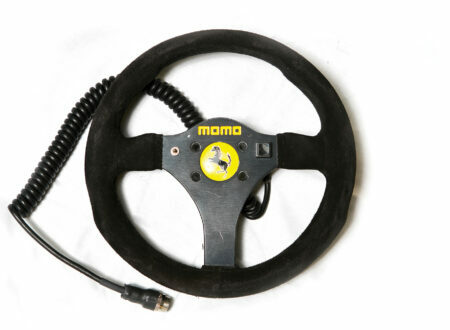 Professional drivers discovered that the weight over the rear wheels resulted in excellent traction, and once they learned to manage its pendulum-like effect found they could send the car sideways around corners with excellent precision. 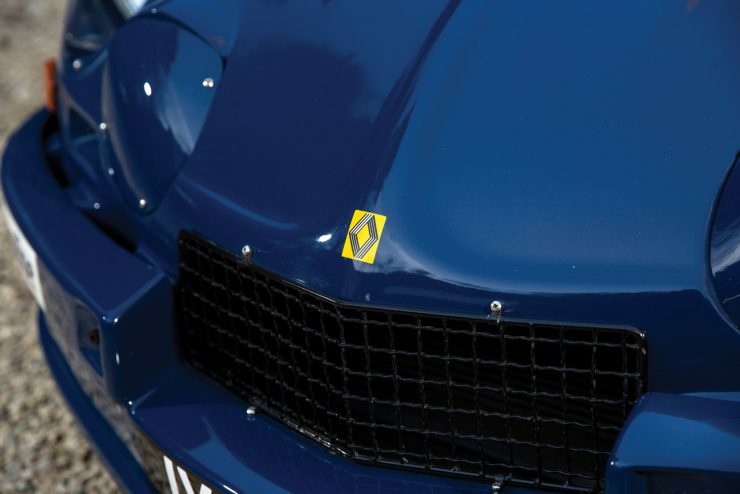 Due to the location of the engine, the front of the car didn’t need a radiator grill, allowing Michelotti to create his now legendary low-nose design and Kammback rear that offered excellent aerodynamics. 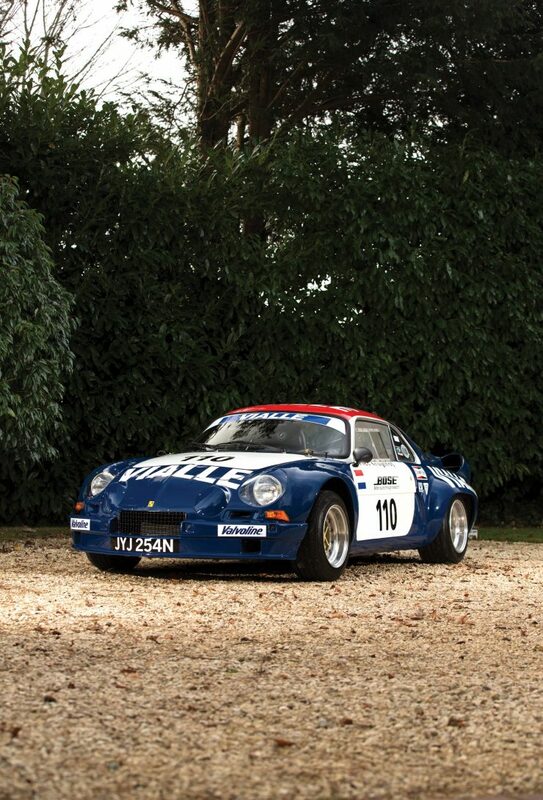 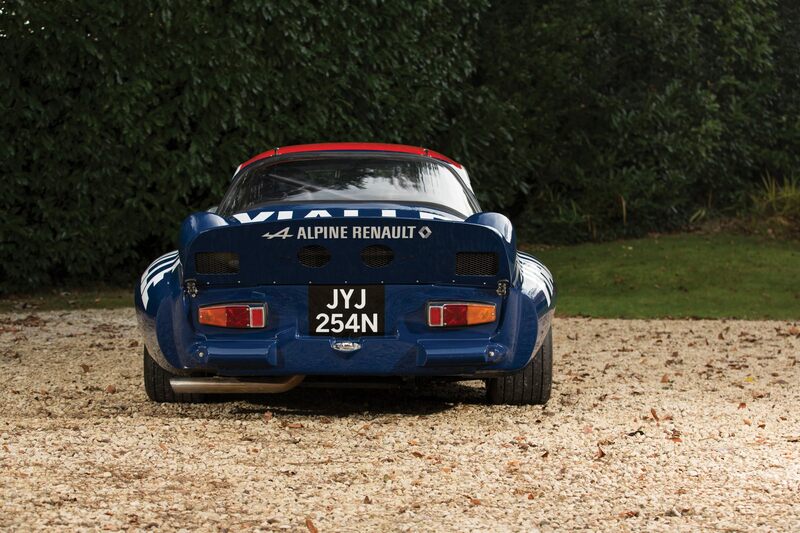 Alpine built the A110 from the early 1960s till the late 1970s, offering increased engine sizes as time went by. 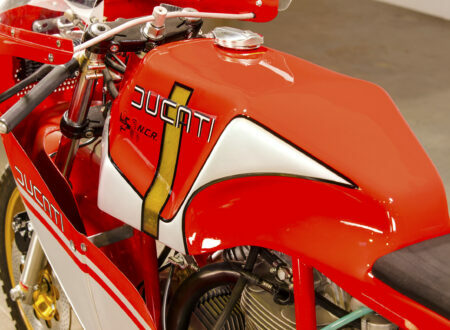 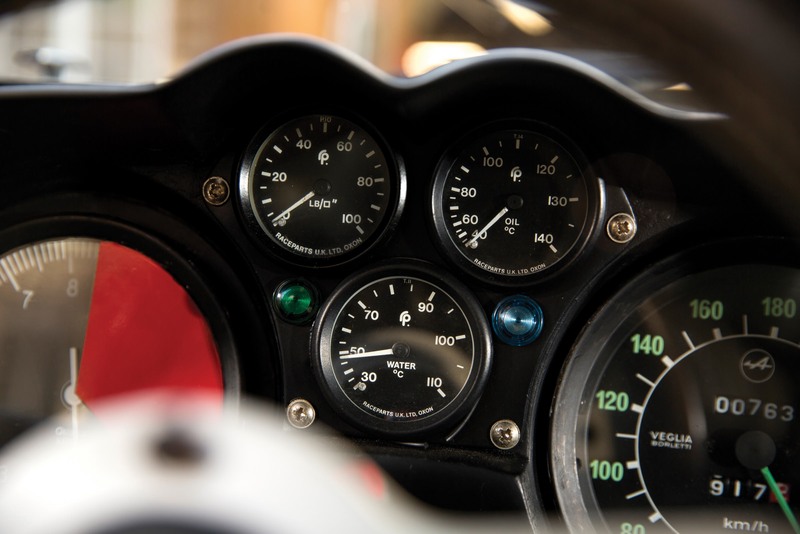 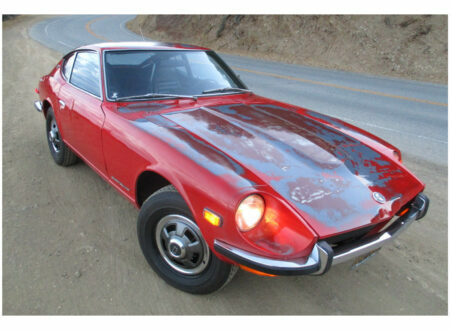 Early engines would be as small as 956cc with 95 hp, and by the mid-1970s the car was packing a 1605cc unit with 140 hp. 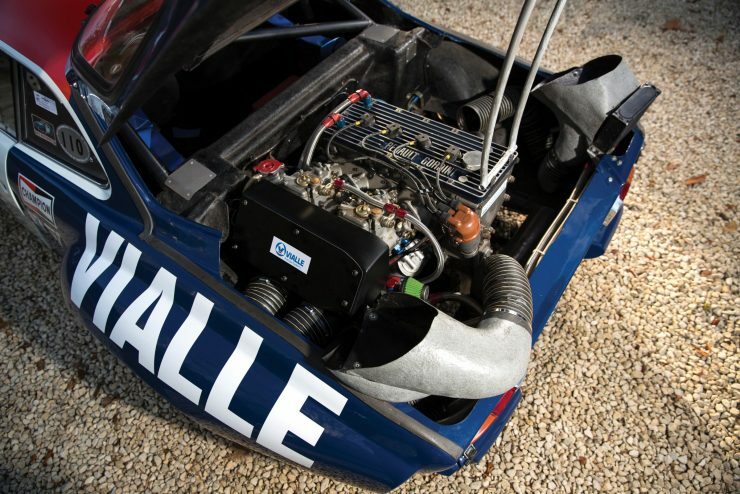 The rarest and most desirable engine is the Renault-Gordini Type 807-G4, just two A110s were fitted with it, and the car you see here is one of them. 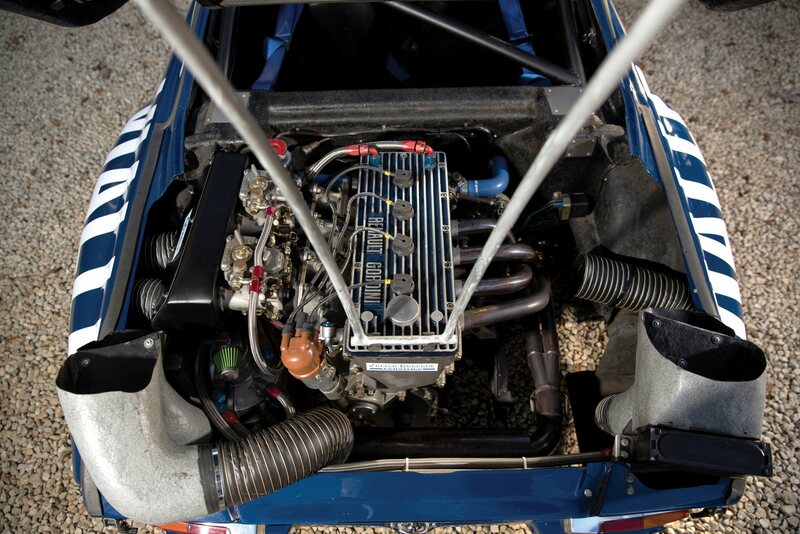 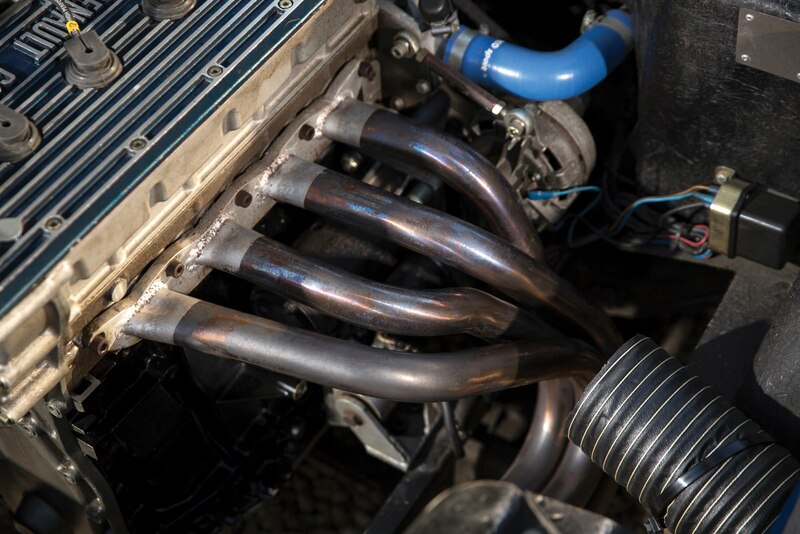 The Type 807-G4 was an advanced design, with double overhead cams, four valves per cylinder, an aluminum cylinder block, a dry sump, twin Weber carburetors, and almost 200 hp. 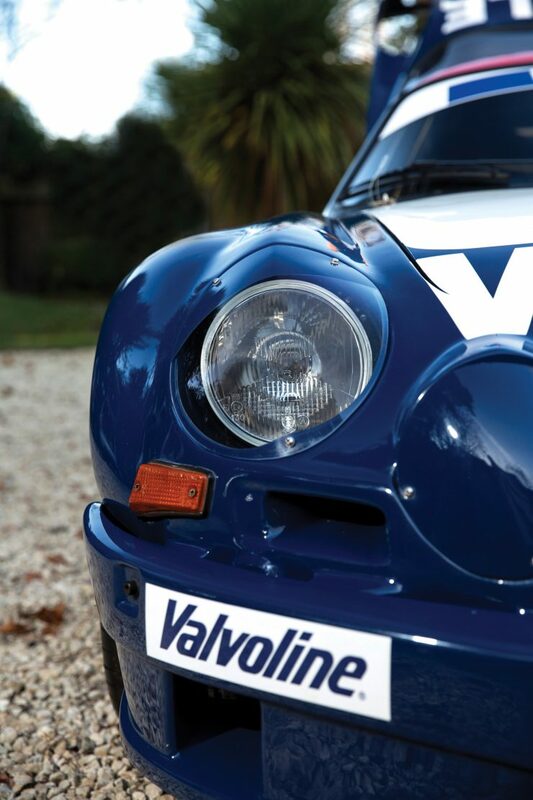 After Renault took over Alpine in 1973 the name officially changed to Alpine-Renault, although many still refer to the cars as the Alpine A110 for the sake of simplicity. 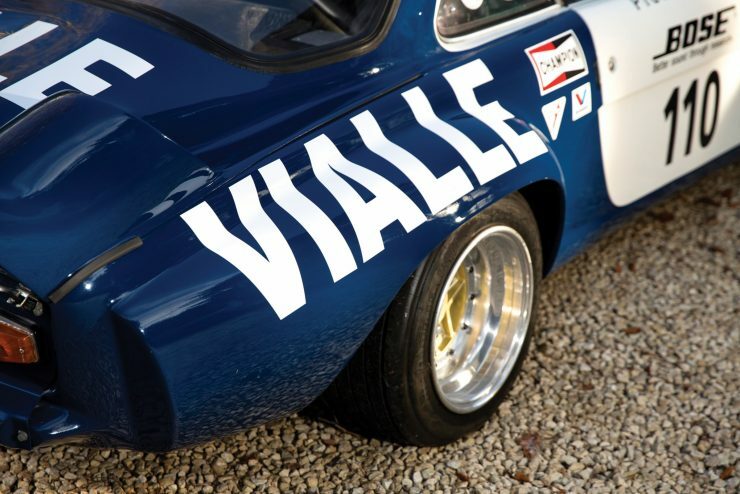 The car shown here was acquired as part of Team Viallen – sponsored by Vialle Autogas in the hopes of achieving favorable exposure in the increasingly popular world of rallycross racing. 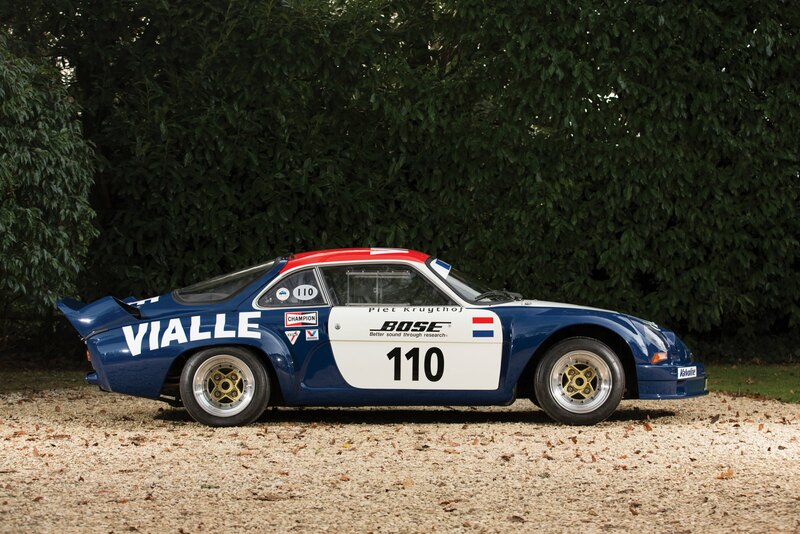 This car, chassis #20377, took its first win in Holland in 1977. 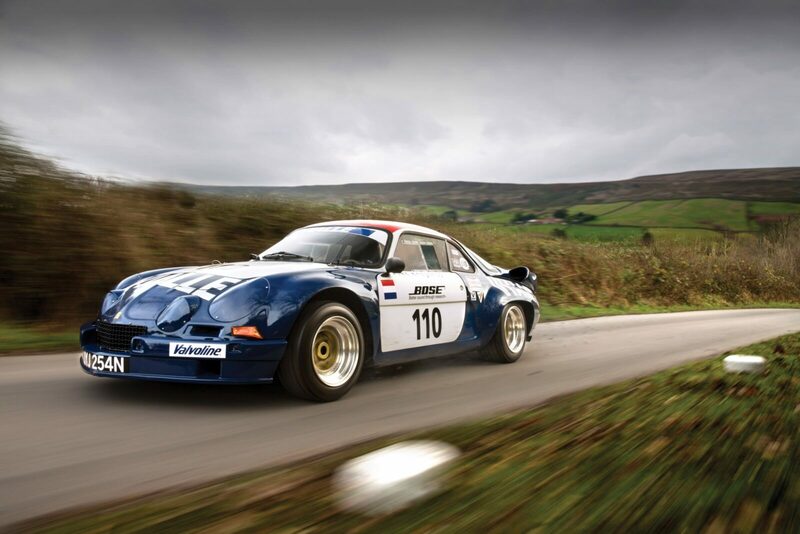 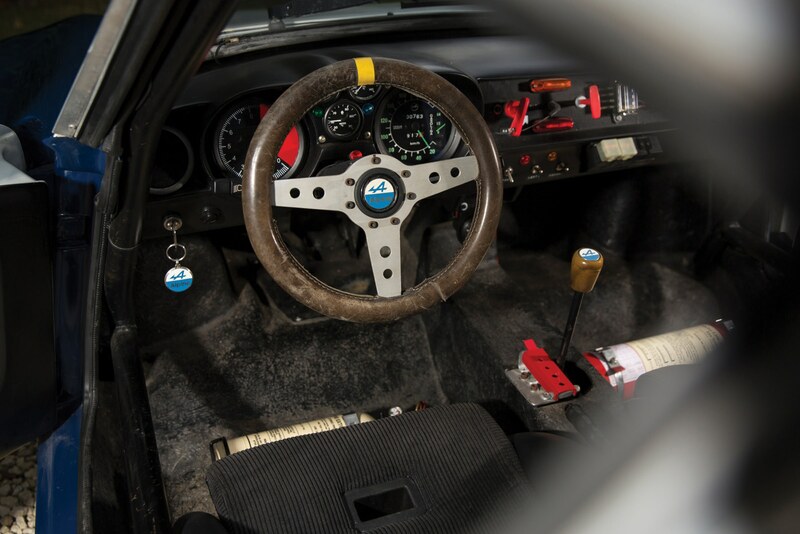 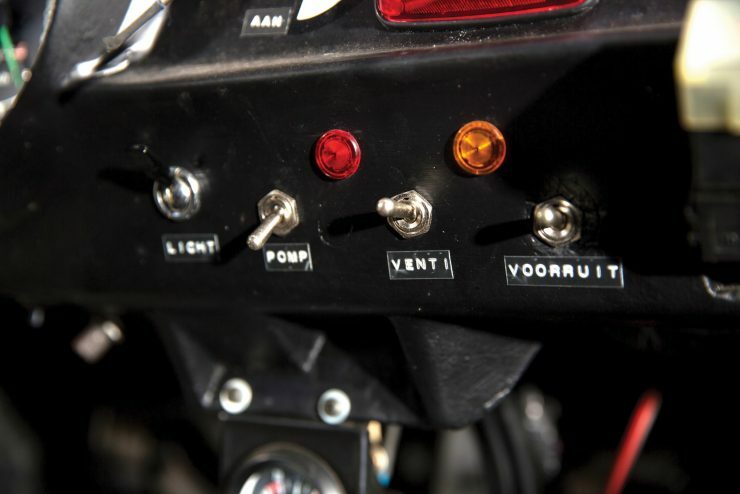 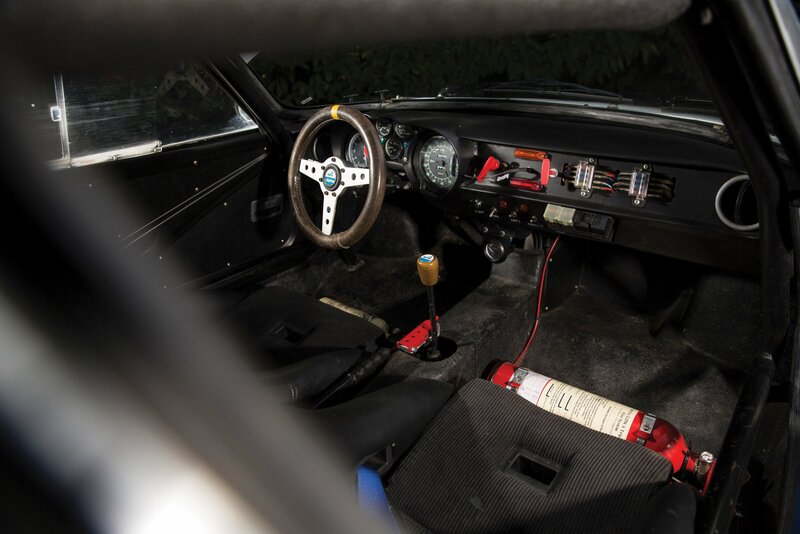 It was driven by Piet Kruythof in the 1977 and 1978 FIA European Rallycross Championships, and it’s the winner of the 1978 Dutch Rallycross Championship – making it the most successful A110 in the history of the FIA European Rallycross Championship. 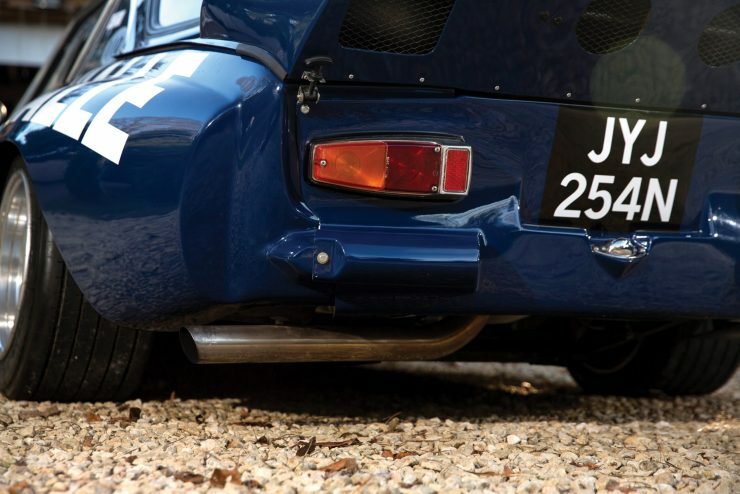 After an accident in the early 1980s the car ended up in storage, before being rescued and subject to a comprehensive restoration that was completed in 2000 – importantly the original Renault-Gordini Type 807-G4 is still fitted. 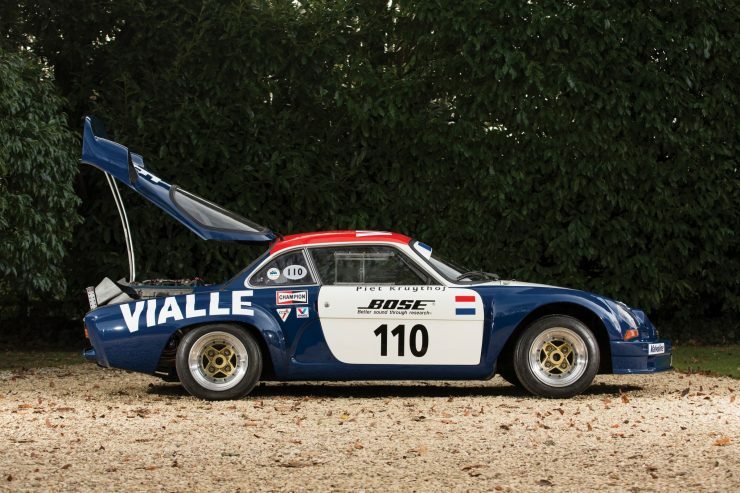 After successfully competing at the 2017 Goodwood Festival of Speed the A110 is now due to be sold by RM Sotheby’s in Paris on the 7th of February. 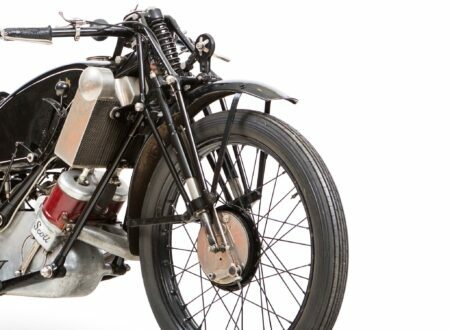 The estimated hammer price is between €140,000 and €180,000 – making it a great buy considering its remarkable heritage.